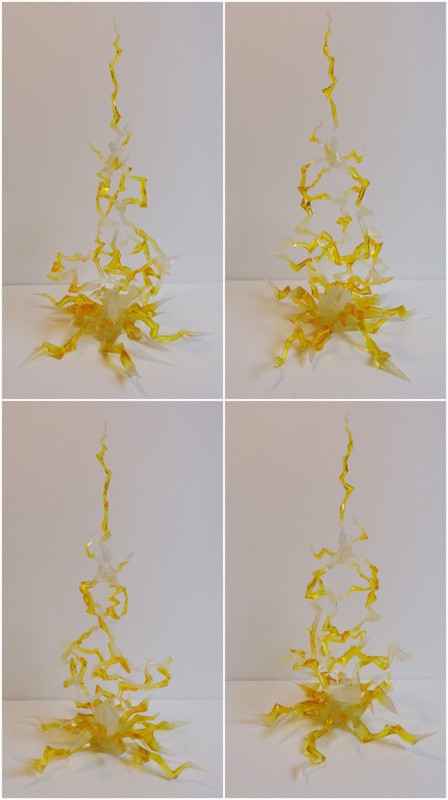 Tamashii has done it again by bringing out another great effects piece. 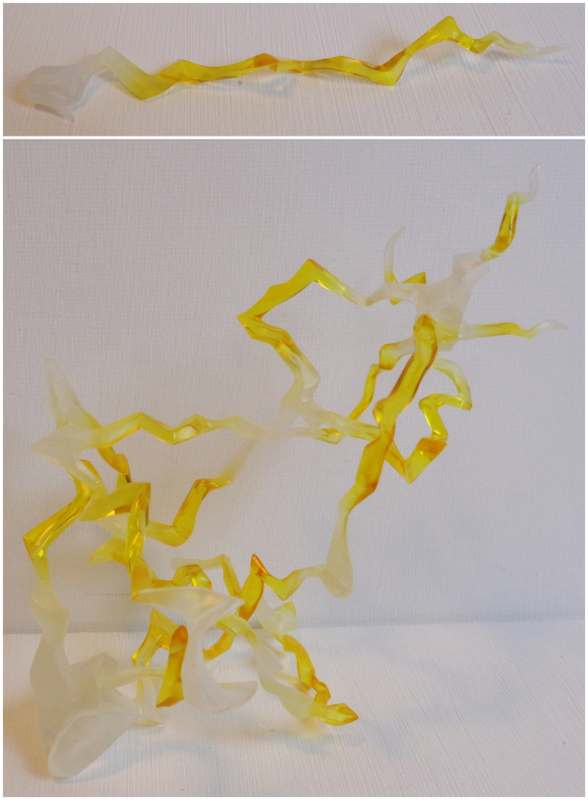 The Thunder (which is actually lightning *sigh*) looks amazing and is made of semi-translucent plastic which fades between yellow and frosted white. It is important to note though that it is not as robust as the Burning Flames so you will need to handle it with care. That and the pointy bits can actually hurt you! The thunder comes in three main sections. 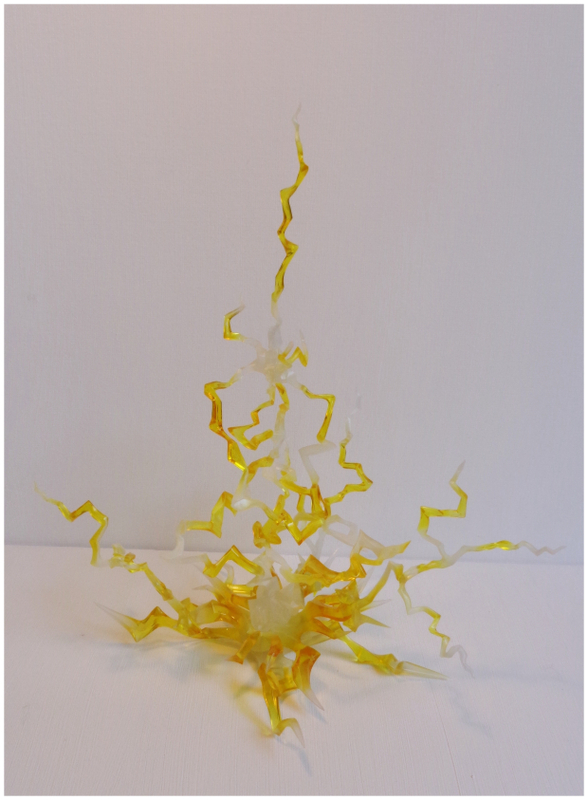 The very top section is a single shard of lightning which pegs onto the middle section which is made up of interweaving shards. Now the middle section has two places where it can be plugged in, one for the third piece and one for attaching it to a figure stand. The third piece or base piece also has holes for attaching it to a stand. 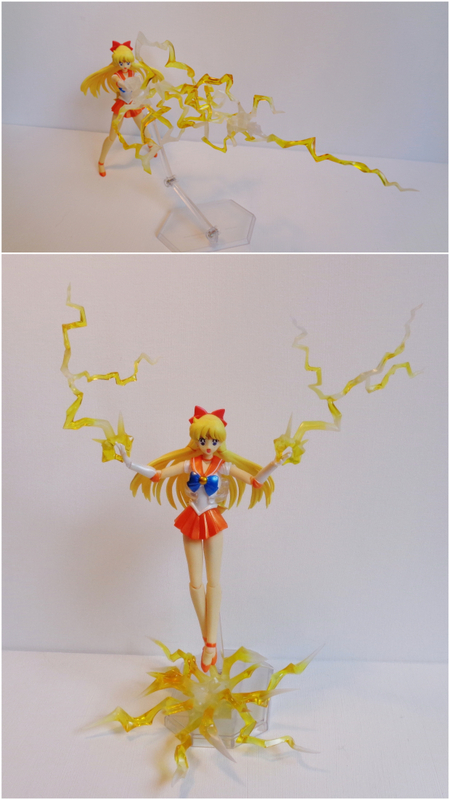 And finally there are the three separate lightning pieces which can be attached to the third piece or directly onto a figure. As you can see from the above the Thunder looks great and can be used in a number of poses. I highly recommend it for display purposes and also for making figure comics.